I'm not a parent, but I feel that back to school starts sooner and sooner. Friends of mine here in Maui had students starting last week. In July! There are pros and cons of being a working adult. Keeping my summer mindset past July is one of the pros. Back in May, almost 3 months ago now, I put together my summer fun list. I've made some progress, including trips to Kauai and Wisconsin, as well as my first attempt at Stand Up Paddling (SUP) and enjoying an alcoholic hibiscus iced tea at Frida's Mexican Beach House. 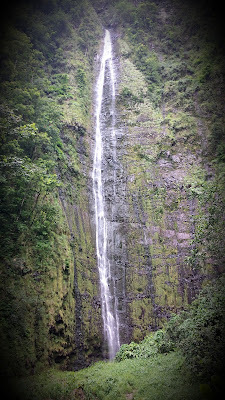 I recently added two more to the list: Driving the Back Road to Hana and Hiking the Pipiwai Trail. The trail was the destination....the back road was the journey. Last year when my family was visiting, we drove the official road to Hana, going from Paia to Hana Town. 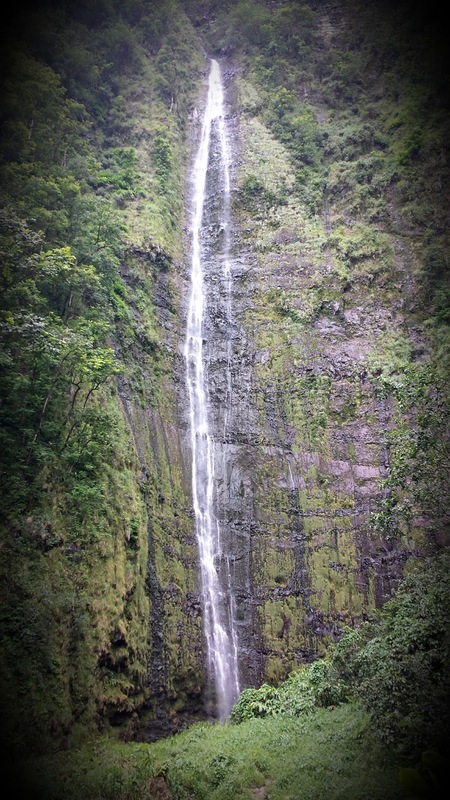 If you want to be entertained, read Trip Advisor reviews about the road to Hana. People have so many feelings. It's their favorite part of their vacation. They never want to do it again. They do it every time they come Maui. It was a wasted day of their trip. The road to Hana, or the back road to Hana, isn't about Hana Town. However, if you go to Hana, don't miss the Huli Huli chicken stand on the beach. The road to Hana is a journey. It's an exploration of the beautiful island of Maui. The back road to Hana is road of mystery and superstition. Primarily because of rental car contracts and rumors about the condition of the road. The biggest issue with the back road is that you're far away from any towns or tow trucks if you have an emergency. There are about 5 miles of on again off again paving with gravel and another few miles with really bumpy blacktop. What does the back road to Hana look like? It's about a 2 hour drive from Kula, in upcountry Maui, to the Pipiwai Trail, in the Kipahulu section of Haleakala National Park. You can buy a Hawaii annual parks pass for $25. Otherwise, the private vehicle daily pass is good for three days and you can use it at the summit as well as Kipahulu. The Pipiwai Trail sometimes gets the name of Bamboo Forest hike, since you're hiking through....wait for it...bamboo. However, where I work, we refer to this hike, at mile marker 6.5 on Hana Highway, as the Bamboo Forest hike. So you have options for your bamboo hikes. Options are good. The Pipiwai Trail is 4 miles total, out and back. The trail is well marked, and you can tell where you shouldn't go based on the red signs that say "don't go past this point." The first waterfall we came across on the trail wasn't in full steam here in July. In fact, we saw some people hike this far, then turn around and go back. If you go back now, you miss the bamboo, bridges, boardwalk and Waimoku Falls at the end. Maui, as always, is No Ka Oi (the best). I'm glad I had this hike on my list. I look forward to hiking it again. Do you have a favorite Hawaii Hike?